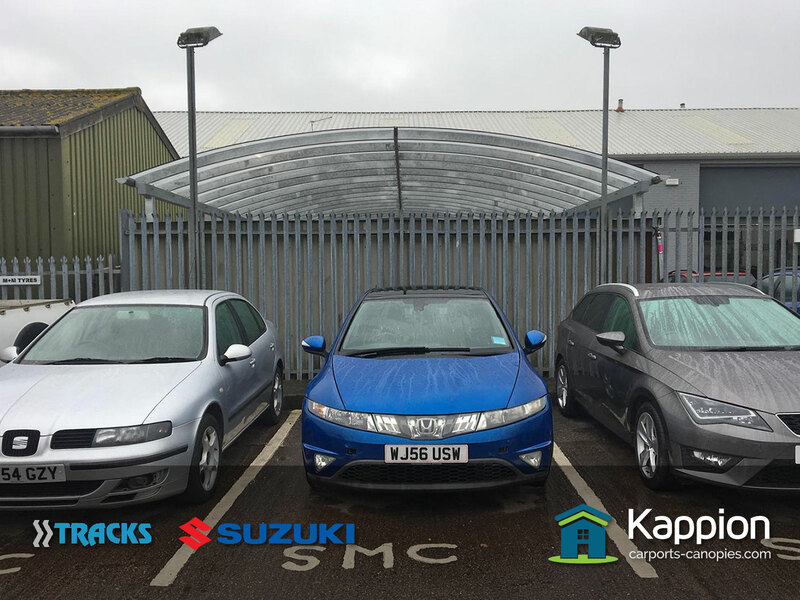 A garage extension carport canopy installed in Suffolk by the team. 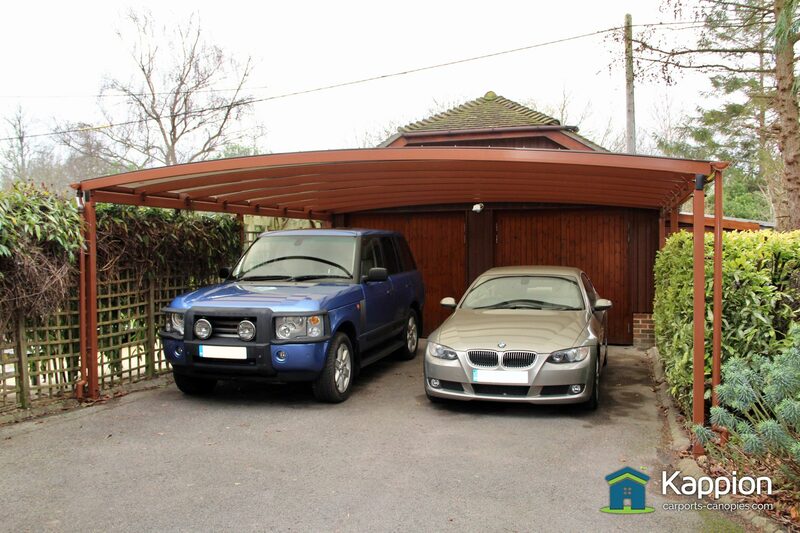 The reason they wanted this canopy was to keep the leaves and debris off his and his wife’s cars and to provide an additional work area in front of his garage for DIY projects. 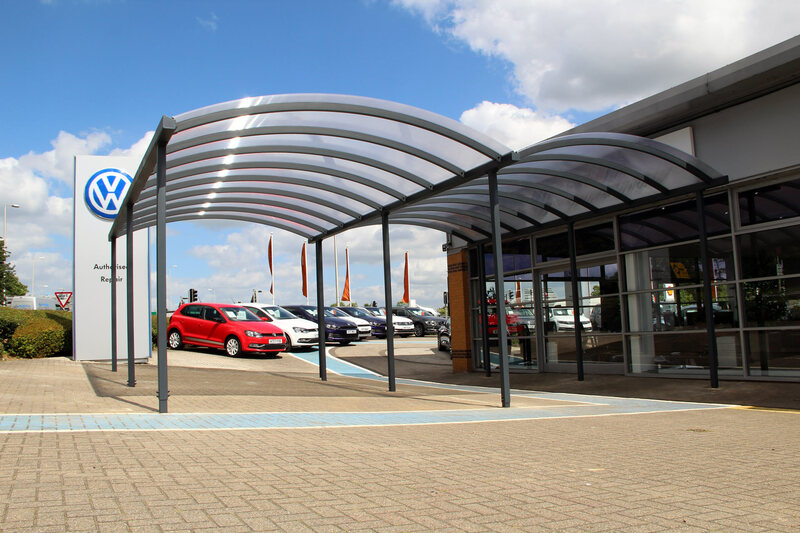 The Ultimate curved canopy was the ideal product with no need for intermediate support. 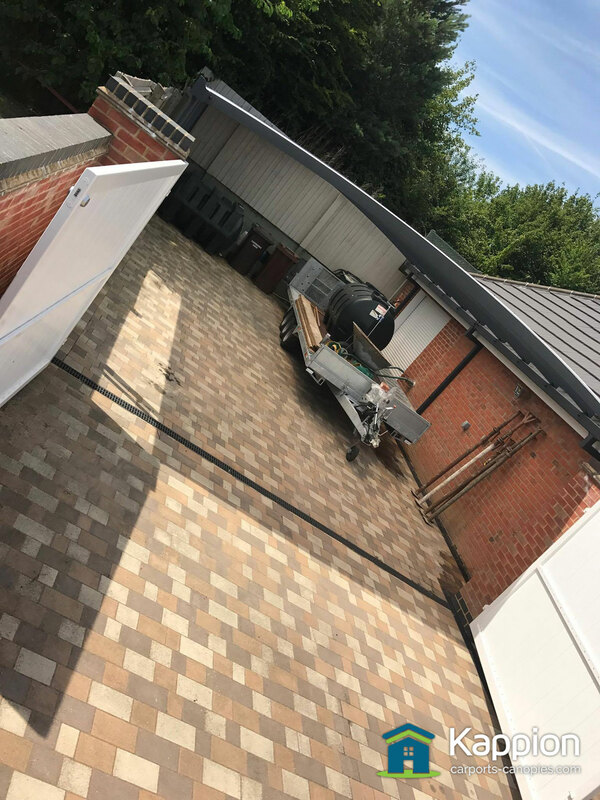 This keeps the structure minimal and the curve softens the overall look.